There are certain things that it’s okay to think but that we should never say out loud in front of our kids unless we’ve already decided on a course of action. Like if we’re thinking about possibly adding another baby to the family or about maybe taking a family trip to Disneyland. We shouldn’t say these things because children demand follow-through, and that means we either have to make them cry, or we have to follow through. Luckily following through with this better-left-unsaid statement involved neither establishing another college savings account nor cashing in one of our existing ones. 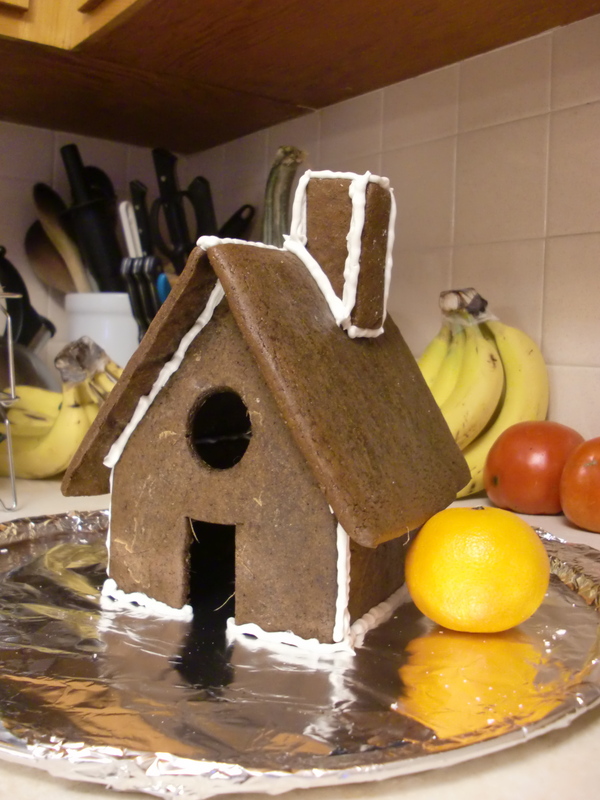 I used grated fresh ginger when I ran out of dried, and the little fibers from the ginger had the unintentional effect of making the house look kind of like it was made of straw and mud. So very rustic (and appetizing, too)! This is the best use I’ve found so far for leftover Halloween candy. While I’m not enthusiastic about making another from-scratch gingerbread house, this photo doesn’t make me cry, so I consider it a win. Gorgeous! 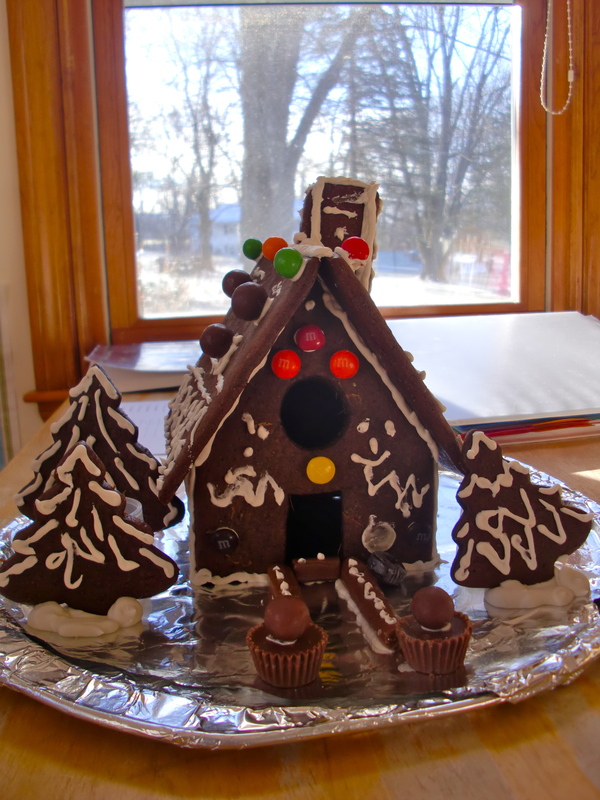 A house any Gingerbread family would be glad to live in! Thank you! Unfortunately, we only made gigantic gingerbread people, so rather than live in the house, they’re more likely to stomp around outside terrorizing any inhabitants. And two of them ended up gingerbread vampires, so even more scary.